Looking after all aspects of a patients’ needs – physical, emotional, social – is a vital part of any GP’s role. GPs see patients of all ages and spend a significant amount of time seeing patients in individual consultations, as well as completing admin and training, and attending practice meetings. Before you become a GP you first have to obtain a degree in medicine from a medical school whose medical degrees are accepted (please see information for students further down the page). Courses normally last five years and involve basic medical sciences as well as clinical training on the wards. You can use UCAS’ course search to find undergraduate Medicine courses. After graduation, you enter a two-year Foundation Programme. You’ll be provisionally registered with a licence to practise while completing the first year. Full registration is awarded when you’ve completed year one. For more information on the training process please visit the GMC website. 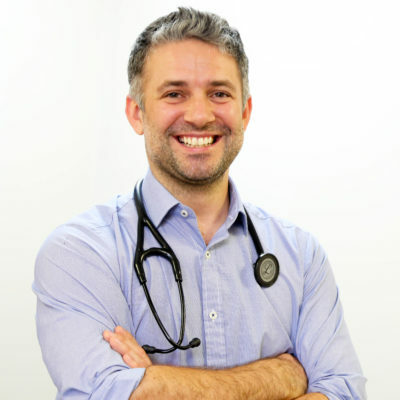 There are many reasons why becoming a GP following your medical training is an attractive option for doctors who enjoy and want to use their breadth of medical knowledge and continue to develop clinical skills. There’s a lot of useful information from Choose GP. Find out more about the GP training programme and area maps with local options. Keep up to date and follow the GP community Facebook page for information on GP Specialist Training recruitment. Generation Medic is a non-for profit community who support current and future healthcare professionals to succeed in their careers. Visit their website if you are thinking about a medical career. Take a look at Health Education England’s information on GP training and recruitment. Medical Schools Council have put together great resources on studying medicine for students and teachers. This includes entry routes into medicine and what to do if you do not receive an offer. They also have created top tips for people looking to study medicine. Look at the medical schools application criteria online (using the above link), each medical school will differ in what they’re asking for and there are 33+ schools out there to choose from! Go to specific med school open days and ASK lots of questions. To highlight the diverse role of a GP, Health Education England have produced the following short videos.